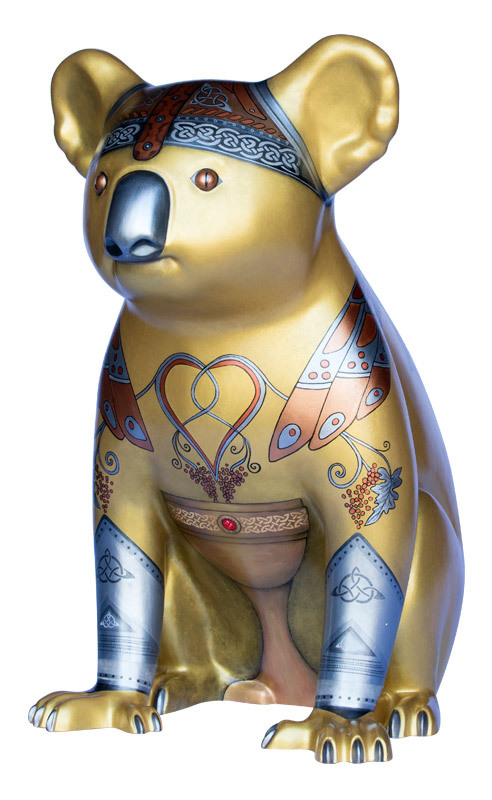 Celtic Koala represents the ancient cultures from Northern and Central Europe – mainly Irish, Scottish and British however also includes parts of Italy, Spain, Portugal and France. Many immigrants from these countries have enriched our Community in the Hastings district. They are proud, frank, humorous, insolent, boastful, sometimes quarrelsome and affectionately high spirited! 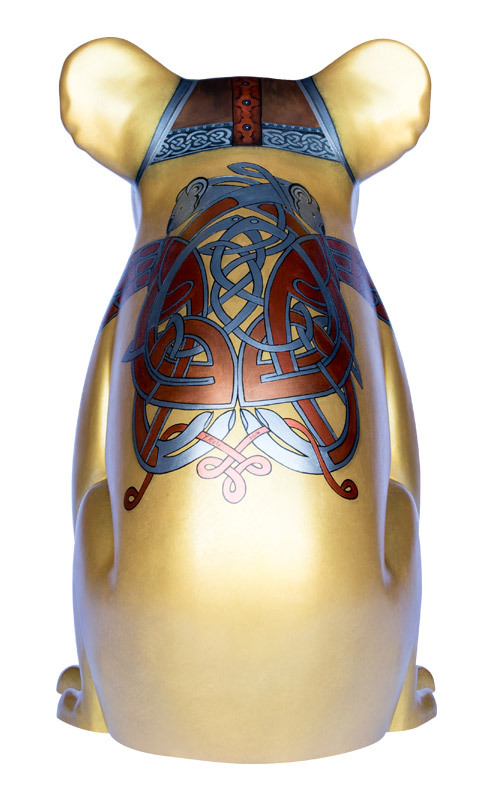 The swirling, spiralling patterns of “Celtic Art” are characteristically fluid, in which the shapes of nature, birds and beasts dissolve into spectacular intricate never ending knot work. 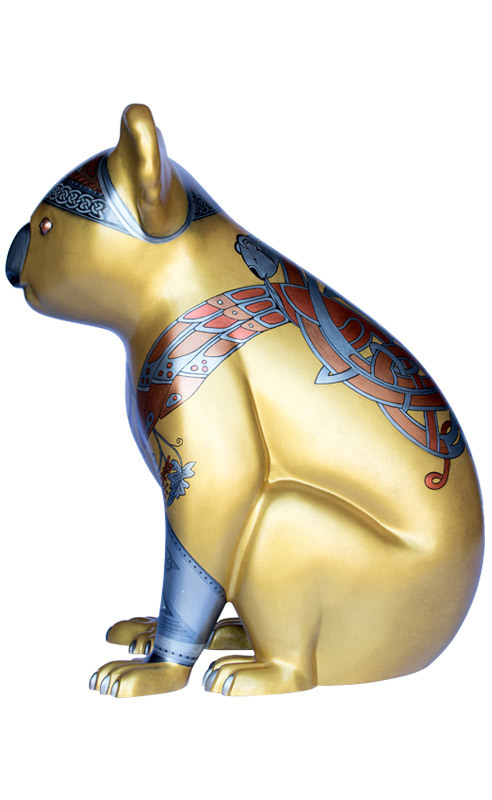 These classic Celtic designs have been treasured for thousands of years; hence the Koala’s body is metallic gold to signify “Treasure” – just as our Koala is our “treasured" animal. 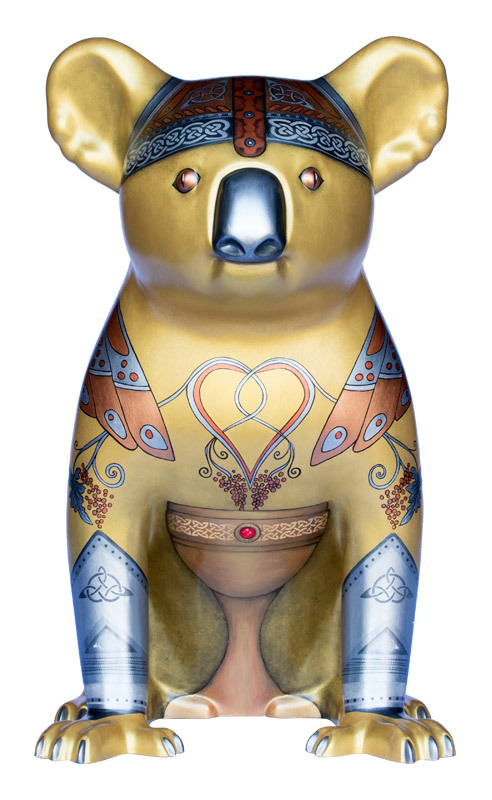 The pattern on Celtic Koala’s back starts with two Koala heads eating gum leafs which lead into Celtic knots and extend out into two large wings on each side to symbolize his shared existence amongst the winged creatures in the trees. 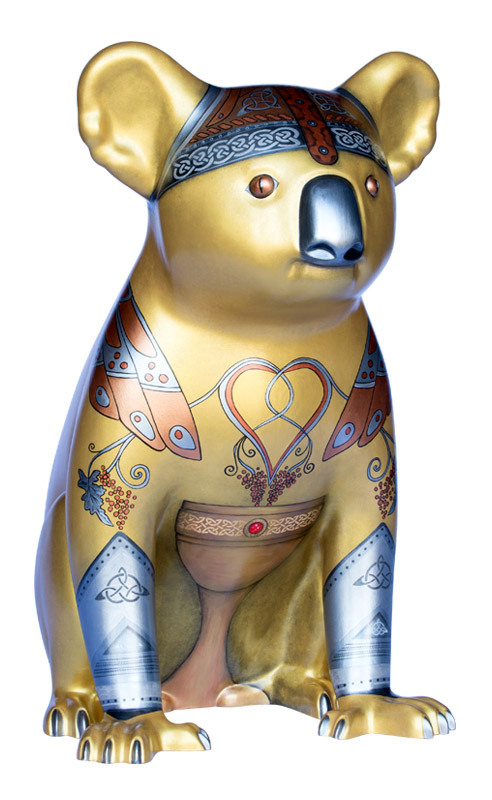 To further symbolise the Hastings Community Celtic Koala has a big open heart on the chest extending into bunches of grapes (our rich viticulture) above a jewelled golden challis to savour the flavours of our history and geography. 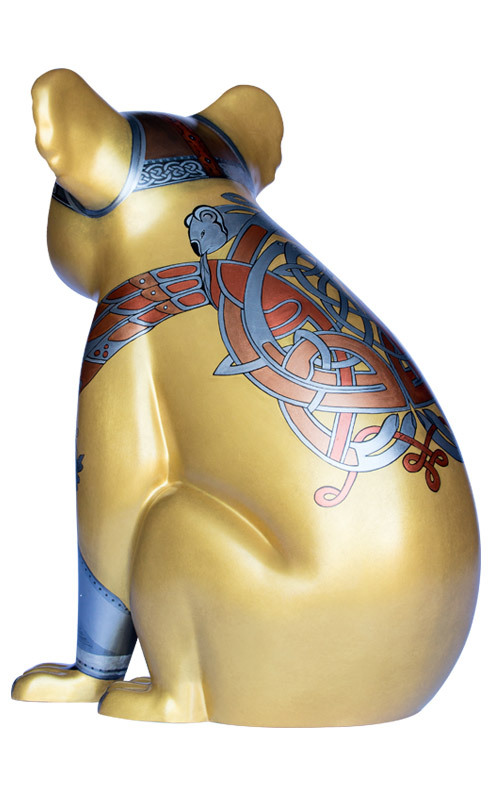 Born in Ireland, Yvonne attended the National College of Art and Design in Dublin where she studied life drawing, fine art, art history and visual communications. 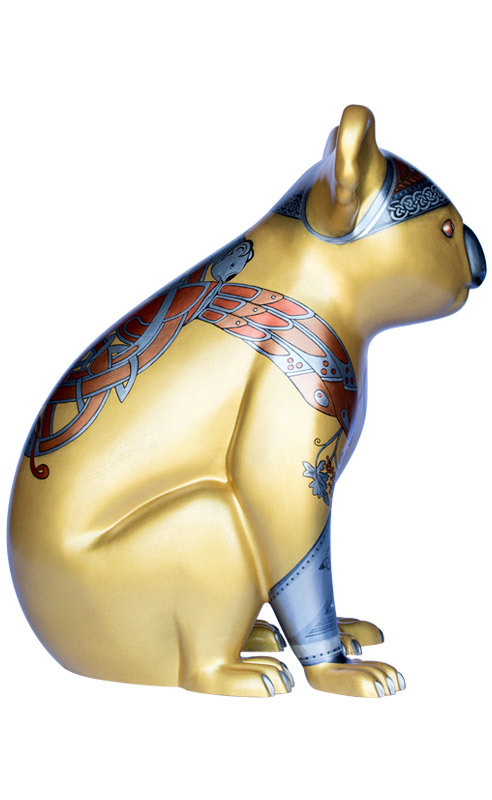 She moved to Australia in 1982, where she trained in fashion illustration and textile design at Sydney’s National Art School. After many years of city life and working as a textile designer in the Fashion Industry, Yvonne moved to Port Macquarie to explore her art practice in a more relaxed manner. She now calls the New South Wales coastal town home. 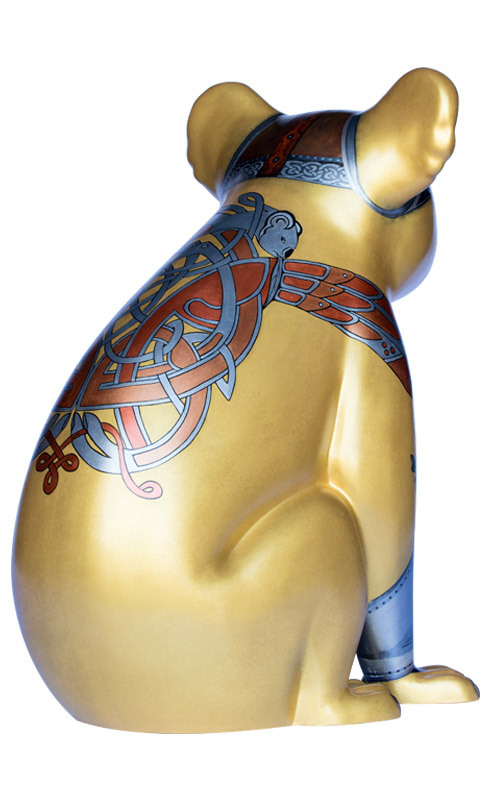 Yvonne works as an Artist, Art Therapist and Art Tutor. Using mostly acrylic and mixed media, Yvonne uses layers of colour, texture and design to convey meaning.